JEREMY Corbyn is due to return to Camden Centre tonight for a leadership rally which is already sold out for seats. Holborn and St Pancras is a happy territory for him after the constituency members chose, in essentially landslide numbers, to give him their nomination last week. The result here is interesting. Despite the warmth – and stardust – with which Keir Starmer has begun life as their new MP, members gave his recommendation to support Andy Burnham a wide berth. Burnham, like he did in Hampstead and Kilburn the previous week, departed in the first round of votes. Some of the power players at the Town Hall urging for Liz Kendall, including leader Sarah Hayward and finance chief Theo Blackwell, were also ignored in favour of Corbyn. There is some important context and caution. The meeting last week may have been packed and the constituency is rightly proud of its buoyant local interest. But even taking into account the high turnout of up to 200, more than 1,000 people who hold a vote in the leadership contest did not take part. The thoughts of this silent majority – people who don’t feel the need to go to local branch meetings but nevertheless want to help choose the national leader – have not really been charted. It’s worth remembering that the last time the party was in this position, more people voted for David Miliband in Holborn and St Pancras, than Ed Miliband. That all said, Corbyn did have a smashing win and it all adds to the momentum which has now made him the market leader with some bookmakers. He won the support of more constituencies than any of his rivals. There are local activists and politicians, some with many miles on the clock, who now just do not know how to read what is going on. The meeting was conducted without spitting anger, but there are still distinct groups who believe Corbyn can either save – or wreck – the party. In the mash of views, the one that keeps coming up is the idea pushed by supporters of the non-Corbyn candidates that Labour cannot win the 2020 general election with the Islington North MP in charge. ‘We can’t put our values into practice if we are not in government’ is the repetitive line produced by Kendall et al, and ‘we can’t win with Corbyn’. The trouble for them is that in places like north London, this attack line has not chimed with members. You can easily find a whole room of Labour voters who will tell you something along the lines of: Well, I don’t believe we can with Burnham, Cooper or Kendall either, so it’d be better to not win with Corbyn… as then we will at least be true to old Labour principles. Right now, they would rather lose with Corbyn, than lose with any of the others. It has become more important in some activists’ mind to ‘re-found’ Labour, to go to the electorate and try and change its mind, rather than shift to the electorate’s centrist-right or right-centrist view. This is a departure, certainly in terms of the numbers buying into it from past leadership elections, whereby some people are saying they must choose a leader who is right for Labour and not one who will turn this way and that depending on what electors say. Large numbers of people say they will vote for Corbyn regardless of whether he can win in 2020 or not because… ‘it’s a long road to a truly left wing government and it has to start somewhere’. Whether there are enough to make him leader, or whether some will have last minute nerves before they come to vote, is a big unknown, but they are revelling in the Corbyn Summer. The more people say they would refuse to work in his shadow cabinet, the more they play into the spreading caricature that Corbyn is the one pure from the quarrels of the past, and everyone else is a plotter and schemer playing on fear and threatening splits. In that regard, the contest has reached a sort of Ealing comedy feel. The film studios would often celebrate an unlikely underdog against big businesses and the establishment. You could imagine them casting Alec Guinness as a Corbyn type, the bit-older cyclist (I shan’t use geography teacher) who suddenly finds himself at the centre of everything; the guy in the sensible anorak and cap who is suddenly the rock star of politics, despite the best efforts of the people with power and influence. Corbyn can’t even get a bus right now without someone tweeting a picture of him and thousands of people liking it. His face beams from Newsnight’s studio screens every night and he has become clickbait gold for newspapers and their websites, which have frothed over where he buys his vests and whether his name comes up in Google before Jesus when you type ‘Je’ into the suggestions search bar. The Ealing films often had a sting in the tale for their folk heroes, but skate over that and these last few weeks have been like one of its scripts, to which the other candidates have allowed themselves to become mushy, anonymous extras to constituency nominators. Instead of simply repeating the Corbyn can’t win mantra over and over again members – like many of those at the Holborn and St Pancras meeting last week- wanted to hear distinct offers from Burnham, Cooper and Kendall. These three, quite spectacularly, have allowed the whole contest to be about whether Corbyn wins or not. Everybody knows what Corbyn wants, and they think they know what Kendall wants but Burnham and Cooper continue to come across as not saying much at all. This in itself may be a route to victory, slipping safely through the left-right division. It would obviously be smoother if there was a single candidate for those who fear Corbyn like Kryptonite to coalesce around. The Corbyn problem for the Anybody But Corbyn camp might go away if, say, Burnham or Cooper withdrew. But at the moment, they have all stumbled into the story that only one candidate, Corbyn, has any principles, conviction or bottle. No wonder, then, that constituency parties, through the meeting-going, enthused members have followed him in great numbers. He has tackled the contest as they all should have done, with the simple virtue of being clear about what he thinks and would do. There are members in Camden who voted for someone else but admit that they are not really sure what their chosen counterpunchers are supporting in the long run. If last week’s hero-worshipping event in Bloomsbury is a guide, there will be hundreds screaming for Corbyn later. This curious contest continues. Will Labour never learn? Jeremy Corbyn will certainly not unite and rebuild the Labour Party, he’ll about as popular as fart in a spacesuit with over half the voters in the UK.. I don’t know Chris; like you, he says it as it is. Surely that counts for something, doesn’t it? Hundreds and hundreds of heart transplants queuing outside Camden Town Hall and Camden Centre earlier this evening to see Jeremy Corbyn speak. It certainly livened up the old chamber, if only for a short while! All I can say is thank God the misanthropic Kendall didn’t get in, any one but her is a blessing. It must be nice to live in the cotton wool world of Westminster where you can pick and choose who you want to work with. Next time she goes to a shop and the staff don’t like her policies I hope they refuse to serve her, she can’t complain they will only be following her lead. 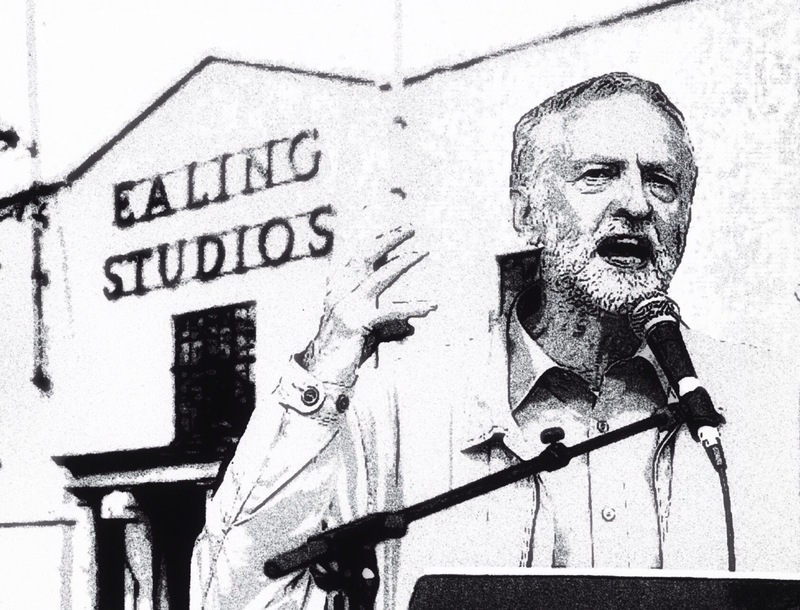 Jeremy Corbyn went from grass-roots to Newsnight – and not the other way round. He represents real social victories. Unlike many Labour and non-Labour politicians, he is not a boutique ‘socialist’ candidate with polished promises. He has empowered our ethnic or social communities with the right to be taken into consideration and the support is deep. He It’s almost the return of a Ken Livingstone without the luggage. The points raised by Mulready are all well and good, but if you don’t really tackle the vast levels of inequality entrenched in today’s Britain, surely any action amounts to nothing less than papering over the cracks. Try selling the message to some poor sod living on poverty wages and reliant on food banks (at least they’ve got a job!) or to the thousands of people across Britain who have no real prospect of ever finding a permanent home. The focus is always on winning elections, at any cost, but never about putting forward progressive alternative social and economic policies that address real bread and butter issues. It’s what makes Jeremy Corbyn’s style of politics so appealing. Apart from Corbyn and his supporters just waiting for the nextq Labour betrayal of the working class. Labour has a very strong record of that. From McDonald up to Gaitskell to Kinnock to Blair. Even the much heralded Bevan wanted to keep the bomb.